I decided to become an English teacher after rediscovering my personal love for learning foreign languages. I specialise in teaching English as a foreign or second language. I am currently studying French, Spanish, Polish and Italian. I have reignited my passion for acquiring knowledge and I wish to share my teaching method to help others find their spark. 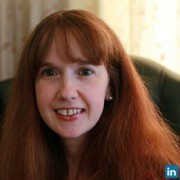 I have experience of teaching primary school children, secondary school students and adults, both, in person and online. I have built up my knowledge over the past three and a half years, since I obtained my TEFL qualification, a top grade A.